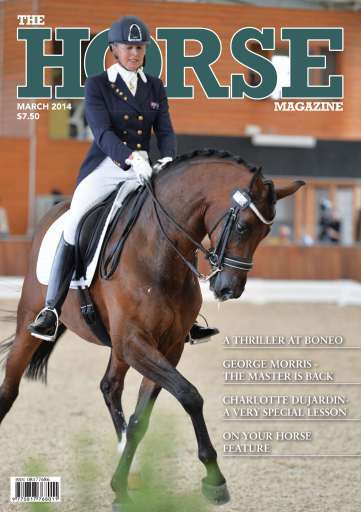 All the action from Boneo Park, George Morris, and Charlotte Dujardin in NZ. Plus Dressage with Gary Lung, 10,000 hours of practice with Christopher Burton, Adelinde Cornelissen on Rider Fitness and Balance, A Photographers View of Dressage, and French Breeding with Bernard le Courtois. As well as exclusive interviews, and all of the regulars! This month also features our once yearly 'On Your Horse' product feature.